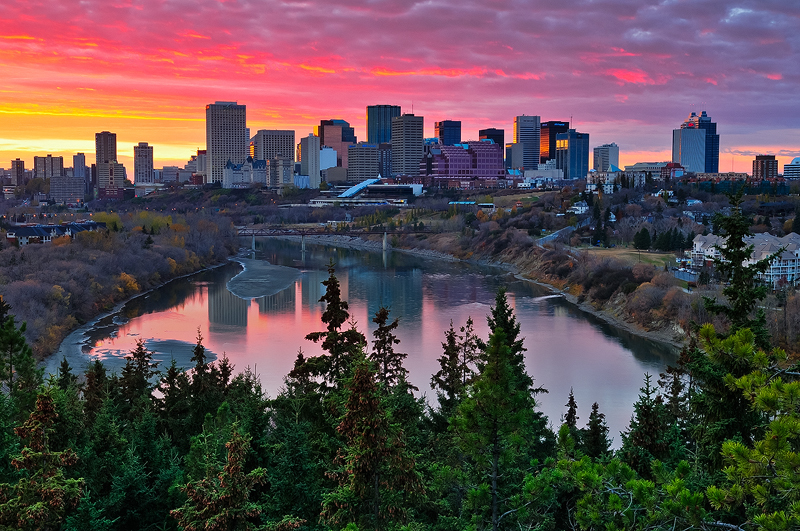 The city skyline at sunset | Downtown Edmonton, Alberta. I had a hunch that tonight, (October 20, 2013) was going to be an epic sunset just because of the way the clouds were moving through out the day. And sure enough, it did not disappoint! This is now my all time favorite shot of the Edmonton skyline.